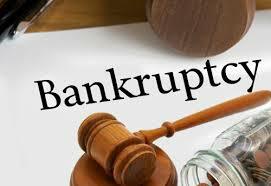 Keeping view to change the scenario of the Insolvency and Bankruptcy to make economic reforms in India, now the Government has issued Draft Rules and Regulations under Insolvency and Bankruptcy Code, 2016. According to the notice issued by the Ministry of corporate Affairs, a working group was set up as part of the process for implanting the Insolvency and Bankruptcy Code, 2016. The working group as mentioned above consisted practitioners and experts for making recommendations for drafting regulations for registration and regulation on insolvency professionals and insolvency professional agencies. The ministry has invited comments from the stakeholder on the draft rules and regulations, according to the public notice. The last date of submission of the comments as mentioned is 28th October, 2016.